I’m sure you’ll agree with me that if a super-model wants her boyfriend to come into the country, any reasonable government should stand aside. I’m sure that even North Korean leader, Kim Jong-Un would let Dr. Wakefield into his country if he was asked nicely by the lovely super-model, Elle McPherson. I believe a number of other individuals should be added to our Australian Freedom Force delegation. 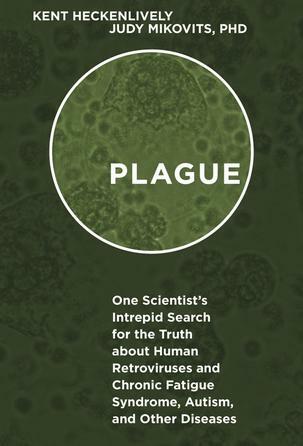 These include Robert F. Kennedy, Jr., (still waiting to be appointed to head that Vaccine Safety Commission), Del Bigtree (producer of the documentary “VAXXED”, of which I know you have a copy), and Dr. Suzanne Humphries, who’s also been banned from Australia because of the books she’s written. I know it’s a long plane trip from Washington to Australia, so what could be better than having the raucous, fun-loving, politically incorrect members of the Australian Freedom Force to entertain you on the journey? It may annoy the Prime Minister of Australia (I’ll send him a copy of this letter), but as it seems that Australian and the British intelligence were behind the Russian collusion hoax (because they wanted Hillary), you might just be in the mood to rattle their cages. President Trump on Air Force One.. I know that earlier I suggested if it was shown Australian and British intelligence were behind the Russian collusion hoax you should consider a surgical missile strike on their intelligence headquarters, but I understand diplomacy and protocol may prevent such a course of action. Instead of a surgical missile strike, just bring the members of the Australian Freedom Force. We’ll cause more trouble and panic than any missile strike. I am sending a framed copy of the Ben Garrison cartoon to both you and the Prime Minister of Australia. Enjoy the cartoon and I hope to see you on Air Force One! Sincerely, Kent Heckenlively, JD, Supreme Commander of the Australian Freedom Force. Great idea, Kent! Trump could choose no better a group of advisors than the AFF. Keep us posted on the progress of your diplomatic passport. Praying your request is accepted. Please get the lowdown on his plans to save our children from BigPharma. He’s 2 years behind. So many have been hurt and lost in that time. Debby, very true. Trump needed the antivax vote to defeat Shillary, and he’s kept them hanging on long enough. Apparently now he’s distanced himself from RFK and the safety commission altogether. It’s pretty clear to most that he’s been got – if in fact he was ever not got. Time to send a signal – in fact more than a signal – to this huge section of his supporter base. Otherwise, they will send a signal to him. 2020 is just around the corner, and he shouldn’t think he can trifle with those who got him where he is. Faced with a choice of out-there AOC types and an orange-faced breaker of promises, they’ll just not turn out. They’ll boycott the vote as noisily as possible and suddenly the size of the movement will come obvious, they won’t be able to hide it. It’s a pipe dream. If he’s ever going to show his colors on this subject, it’ll happen only if he wins the next election. For now, he doesn’t want to alienate Pharma any more than he already has, and he’s certainly not ready to take on the medical industry; remember that Pharma pays the Repubs plenty too. Get over the idea that Trump will do something for the vaccine injured, it’s not happening. No indication other than speculation. It’s ok to be optimistic, but I don’t see a reason to be from his side since he’s been in office for over 2 years now. Let’s move on to other theories, and facts such as the next legal steps that RFK junior is spearheading. Previous Previous post: Who Among Us Has The Power To Routinely Plant “Fake Health-Science News” Reports?